To make these earrings, you’ll need some seed beads and super duo beads. Just follow this simple dangle beaded earrings tutorial. Then, attach ear wires, and enjoy these adorable earrings. 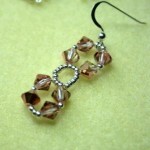 Using different bead combination or adding some cute charms to them, will make the earrings look differently. So even following the same pattern, you can get different result. If you have been following the blog and receiving our newsletter by now you should be ready with your earring hoops because we’re going to create a 2-Part special project today, which is the Circular Brick Stitch Earrings! 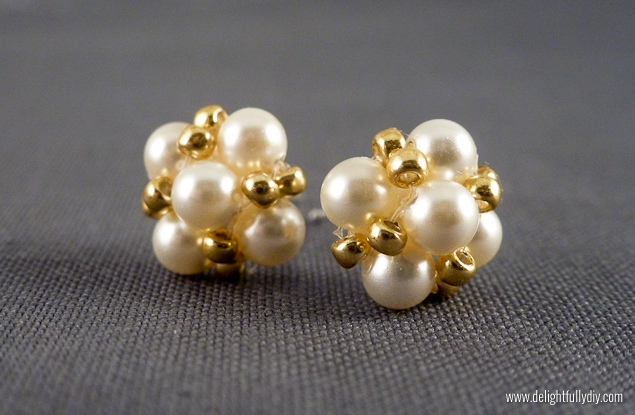 The next tutorial is inspired from a pair of earrings worn by Angelina Jolie in “The Tourist” . It is actually very simple to make them, as long as you follow these easy steps. It is the perfect tutorial for a beginner. 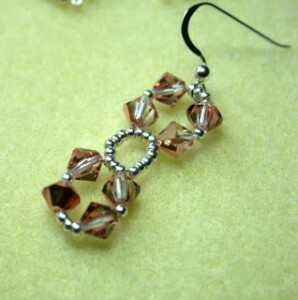 You will need bicone crystals or semi precious rounds to highlight the earrings, and small seed beads. I have a slight obsession with vintage jewelry. I particularly love big, pretty earrings from the 1950s and 1960s. I usually end up using them to make necklaces and bracelets though because they are always too big for my ears and look a little silly on me. This weekend, I came across a pair I really liked and thought I could probably make something that looked similar, but much smaller. Here is something I know you guys will like It’s a little cutesie tootsie fan shape earrings! Cute, aren’t they? Create pairs of these fan shape earrings and give to your friends. I’m sure they’ll love it! 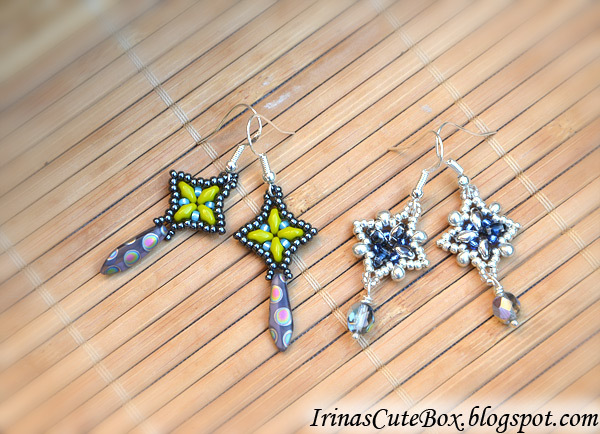 As I promised, in this new video I will show how to make the star post earring made using a Swarovski crystal and seed beads size 15/0. I hope that the tutorial will be clear, and see you soon on the next video. Thanks so much for posting these earrings, Aleshia. I was so happy you did this tutorial because I wasn’t sure how to do the reverse side. I had an idea, but now I know for sure. Thank you again for sharing your considerable talents with us. This one is based on Shanna’s Regal Ruby Earrings. I will demonstrate how to frame Swarovski Crystals with seed beads using Fireline and a needle and then construct the earrings as well! This is a great way to add a bit of interest to the already beautiful Swarovski crystals, so once you make a pair of earrings, you will want to create something to go with them, like a bracelet or a pendant!